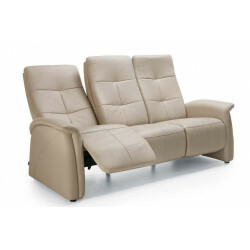 Feeling comfortable is one of the most important things we expect upon returning to our house after a hard day at work. 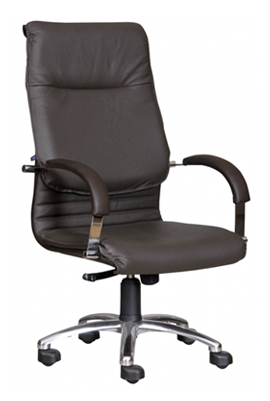 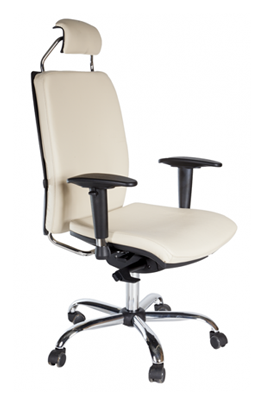 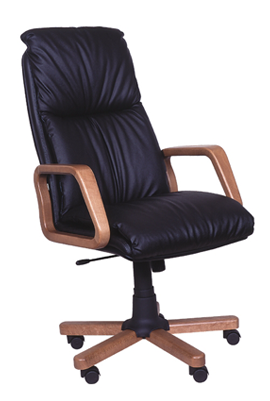 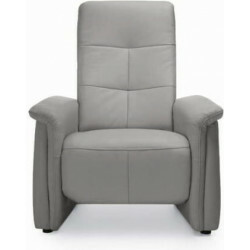 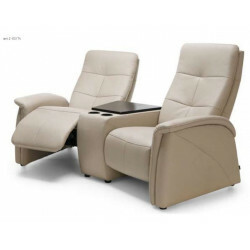 Chairs are used mainly for that purpose - to provide us with the comfort we are asking for. 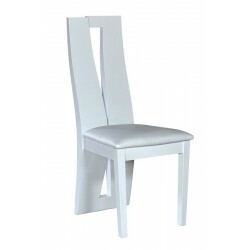 Having the perfect table is just a step to creating the dining room of your dreams, but choosing the perfect set of chairs so as to combine them with your table is one step closer to creating your ideal dining room. After all, you can’t really eat comfortably while standing. 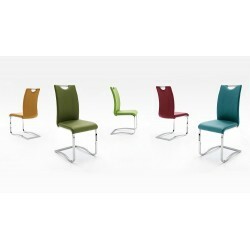 Every dining room or kitchen needs a whole set of chairs. 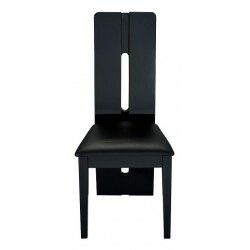 How can you expect to enjoy a nice meal with the family if not everyone has a place to sit? 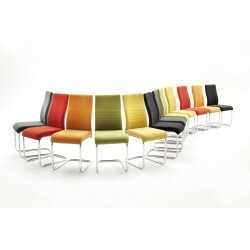 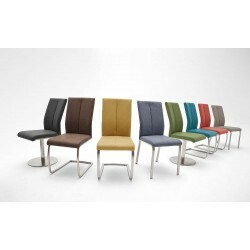 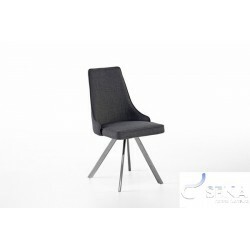 Whether you’re looking for a design that’s more reminiscent of classic furniture, or something more in the “boldly modern” category, Sena can provide you with just the chair design you need. 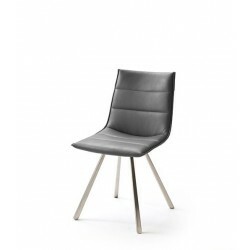 A modern chair made of faux-leather and stainless steel, a beautiful design which provides exceptional comfort with a light swing. 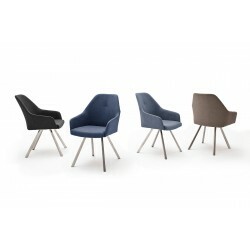 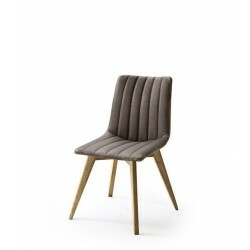 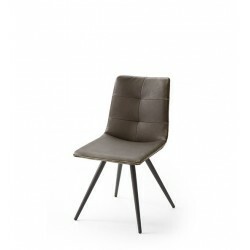 A modern chair made of eco-leather and brushed steel, a beautiful design which provides exceptional comfort. 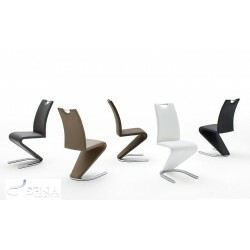 At Sena Home Furniture, as we want to satisfy all of our customer's needs we take care not only of the materials we use for our chairs but also of the design. 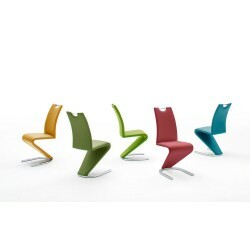 That way they are not only durable but also as functional as possible! 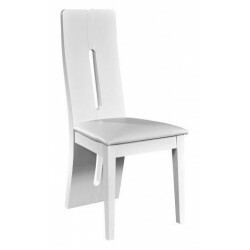 In addition, before selecting your new dining chairs you should take into consideration some important factors! 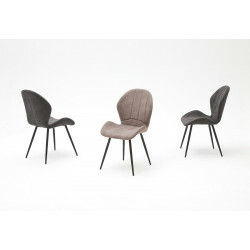 By mentioning the shape of your new furniture, you should not only consider how it will fit with the dining room but also to check out if it will perfectly suit your table! 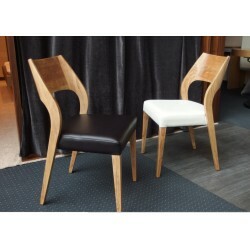 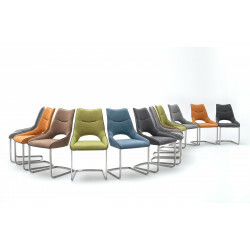 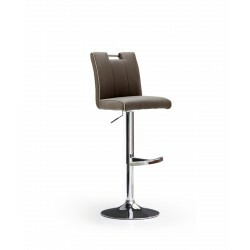 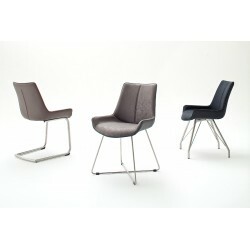 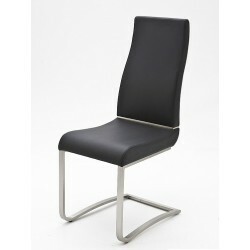 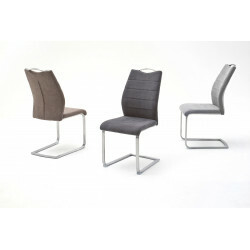 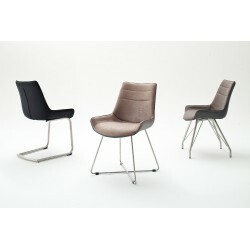 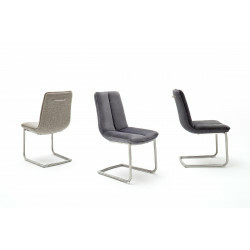 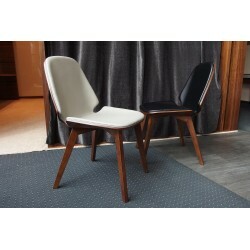 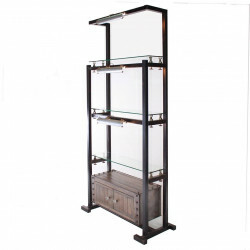 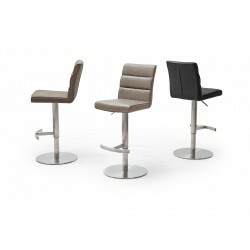 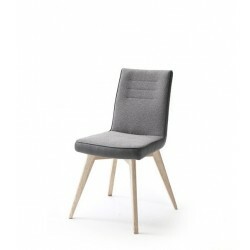 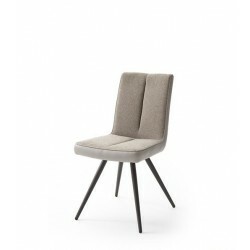 To be more specific, if you have a bar table then you should take into consideration our tall bar chairs. 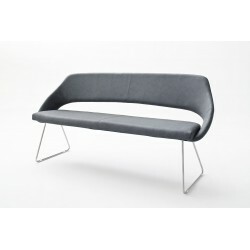 On the other hand, if your table is big enough then you should have in mind the idea of purchasing a bench instead of a chair. 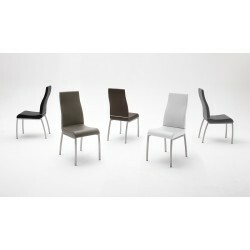 Nowadays, benches are the new trend, not only it feels so comfortable to sit on them but also it gives you the chance to be closer with your friends and family while eating dinner! 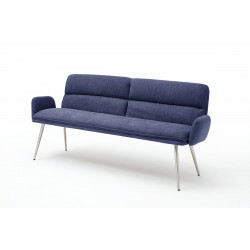 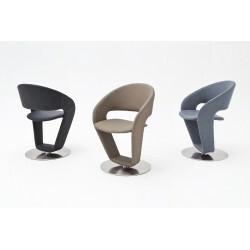 Expect of the shape, style plays an important role as well! 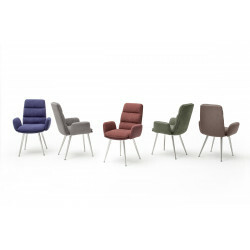 For instance, if your room is full of colours and it has a playful interior design then we prepared for you a wide range of colourful chairs, that will perfectly match your decor! 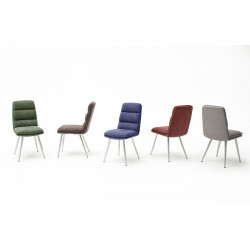 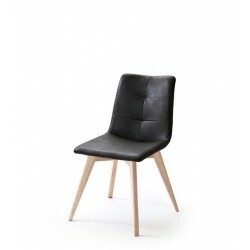 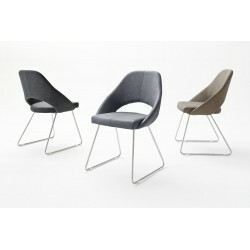 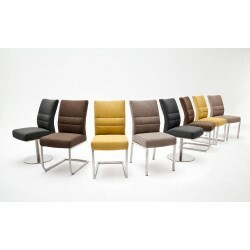 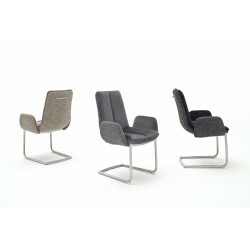 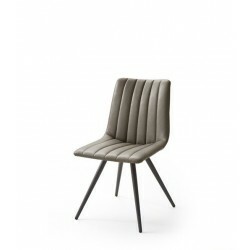 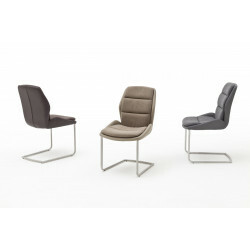 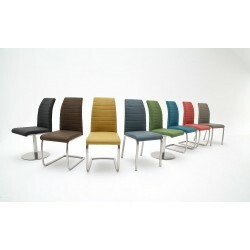 If you are interested in such a style take a look at Aldamo our modern chair made of eco-leather and chrome! 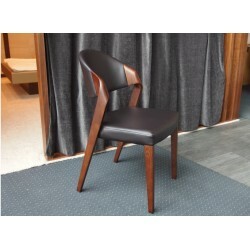 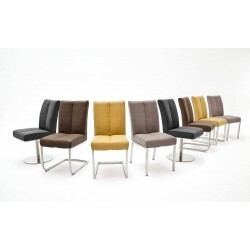 In addition, if you have a premium looking dining room, then you should consider purchasing luxurious chairs made from eco-leather, such as Allan A a luxury chair with steel legs which will provide you with exceptional comfort! All of our furniture can be found in a huge variety of materials and finishes, such as eco-leather, steel, wood and many more! 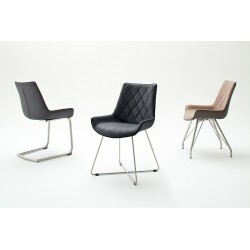 Last but not least our wide variety of shapes, sizes, materials, and prices will for sure impress you! 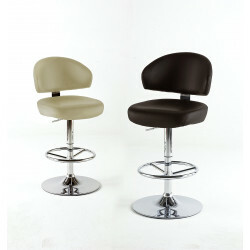 We assure you that our chairs are more comfortable than they look!